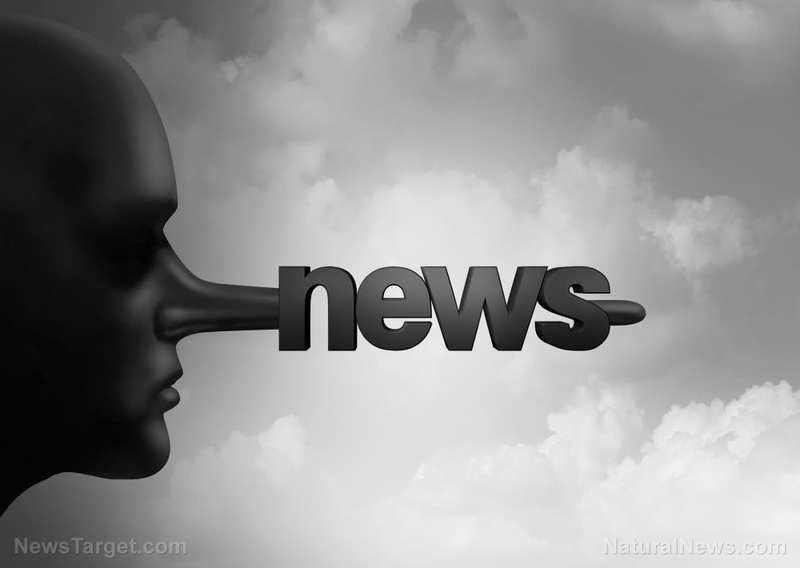 (Natural News) The fake news media is once again using a bogus story to push left-wing dogma on an unsuspecting public. This time, multiple media outlets have been spreading news of a fake study designed to showcase sexist hiring practices in the tech industry. Anyone with a brain should find it hard to believe that the overwhelmingly leftist tech industry is guilty of the extreme sexism they’ve been accused of. But it seems the intolerant Left just can’t get enough of eating its own. Indeed, the mainstream media was quick to condemn the entire tech industry for sexism. Over Twitter, posts about raging sexism in tech got thousands upon thousands of likes and shares — and all of this outrage was based on nothing but pure lies. Will The New York Times and the Washington Post be given the “scarlet letter” for their continued abuse of power and their failure to engage in honest reporting? Probably not. Fact-checkers like NewsGuard don’t actually serve to preserve truth — they exist to advance the left-wing narrative, and to help usher in an age of totalitarianism. As Breitbart reports, multiple mainstream media outlets reported on an “experiment” allegedly conducted by a tech recruiting firm named “Speak with a Geek.” This study supposedly found that the tech industry was overwhelmingly biased against women. The Times, the Post, Bloomberg and other media big shots were quick to publicize the findings and admonish the tech industry. News of the “study” spread like wildfire, with left-leaning social media users sharing the story and expressing their pseudo-outrage over the purported findings. But for Vox writer Kelsey Piper, something just didn’t add up. And Piper was right: None of the articles about the “study” ever actually linked to the evidence. Speak With A Geek, the firm that led the study, doesn’t have a web page and appears to be defunct. “The study doesn’t seem to exist. You can’t read it anywhere. The only info we have is what’s in the media,” Piper stated further. It would seem that this “study” is noting more than a fake news ploy, dealt right into the hands of blood-thirsty leftists. As Breitbart notes, NewsGuard — a highly contested “anti-fake news” app — gives the Times piece on the bogus research a “green” or “true” rating. In fact, there are a number of stories about “sexism” in the tech industry, with many accusations that women are “under-represented” in tech. But is that really true? Statistics from Catalyst show that women make up about 20 percent of the workforce in high-tech occupations. This, leftist say, is a clear indication that women are being marginalized and maligned by the entire industry. And if you were to look at only the number of women working in tech, you might find that to be true. However, it is also important to look at how many women actually want to work in tech. The same stats published by Catalyst also show that only 18 percent of female college students are earning degrees in tech-related fields. In other words, the number of women working in tech accurately reflects the number of women graduating college with degrees in tech — which indicates there is no bias at all. Except, of course, for the bias of the liberal media. See more coverage of the mainstream media’s latest scams at Propaganda.news.